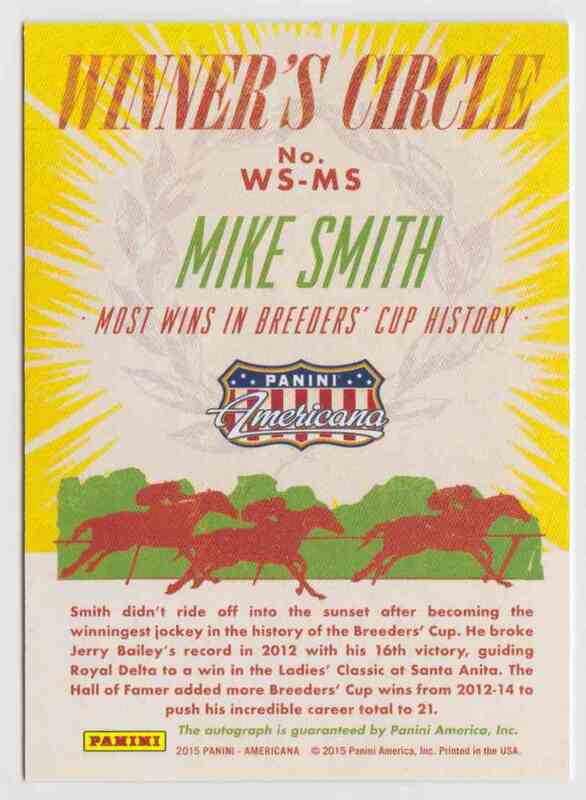 This is a autographed Movies-TV trading card of Mike Smith, Triple Crown. 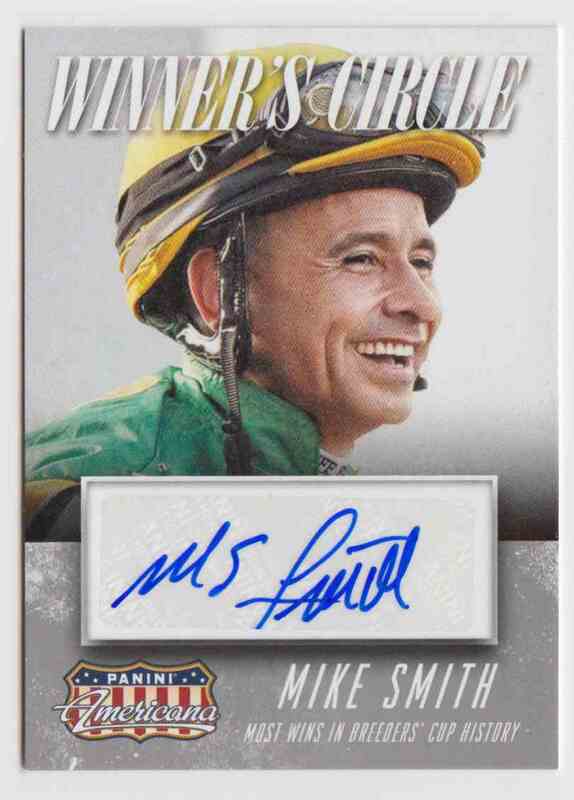 It comes from the 2015 Panini Americana Winner's Circle Signatures set, card number WS-MS. It is for sale at a price of $ 30.00.